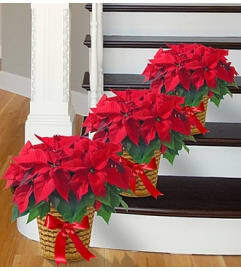 Spread a whole lot of holiday cheer across the table…or throughout the house! 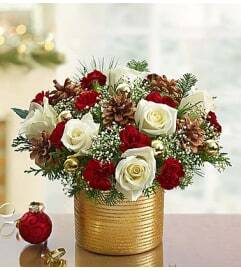 Our compact cube centerpiece is filled with vibrant roses, joyful daisy poms and assorted Christmas greens, then topped off with pinecones. 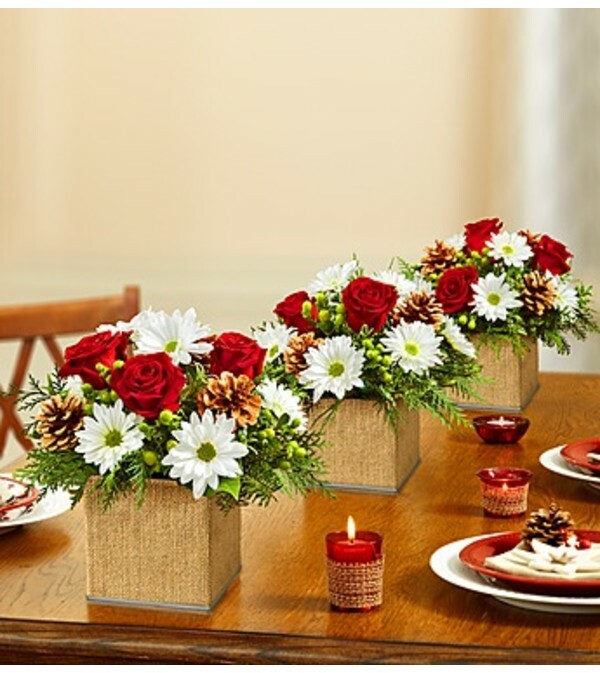 It’s all hand-arranged inside a burlap cube vase for a rustic touch. 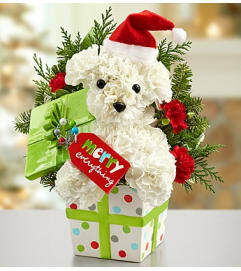 Available as a set of two, three or four, it makes a fun parting gift for your party guests, too! 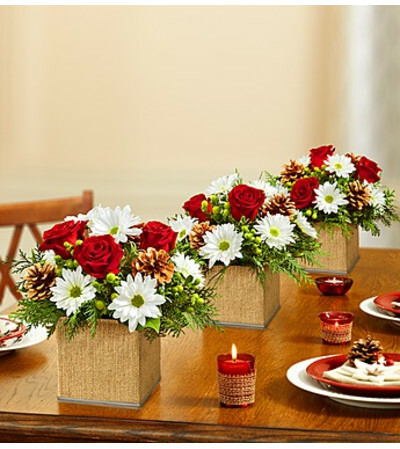 Hand-crafted centerpiece package features fresh red roses, lime green carnations, noble fir, white pine, cedar and holly accented with emerald ornaments. Set of three.